Meb Keflezighi probably can’t win the Boston Marathon again, but how many times has he been counted out and still delivered? Track meets can often take all day, and you probably don’t have all day to sit and watch every single race. Here are the ones to carve out some time for. No winter lasts forever; no spring skips its turn. In ancient times the long-awaited arrival of spring was celebrated with Floralia and Walpurgis Night, and in modern times with the annual start to outdoor sports. Two Mondays ago the nation’s baseball fans made sure they got away from work, and the nation’s track and running fans do the same every Patriot’s Day. The Boston Marathon isn’t “just” a race, it’s a celebration. This year’s race offers lots to celebrate. Olympic bronze medalist Galen Rupp is figured as a very real contender for the win, although questions remain about his health and fitness due to a foot injury. This will be Meb Keflezighi‘s swan song at Boston, and while you wouldn’t figure a 41-year-old on his retirement tour would be a contender, he has always been full of surprises. The rest of the American entries are unusually strong given that they’re “the rest of the American entries”, led by Olympic sixth-placer Jared Ward. The foreign entries are strong as always as well. Defending champion Lemi Berhanu Hayle is back, plus four others with sub-2:05 PRs (Emmanuel Mutai, Sammy Kitwara, Yemane Tsegay, Dino Sefir). If an American wins, it most certainly will not be gifted to him. Note that while NBC Sports Network is the official national broadcaster of the Boston Marathon, the local CBS station also has local broadcast rights and streams the race at their website. While NBCSN does a good job of covering the race, the local broadcast is often better and their lead announcer is Toni Reavis, the best in the business in the USA. It may or may not be blocked for those outside the Boston area, but it’s worth checking. Every Monday morning I meet a bunch of friends for breakfast. Six years ago one of them said “I hear there’s an American woman who could win Boston today.” He was speaking of Kara Goucher because USA Today had published a story on her that morning. I replied that there was an American who could win it, but it’s wasn’t Goucher. I was speaking of then-little-known Desi Linden, and I was right that she had a chance. She came up just a few steps short of the win. She will not catch anyone by surprise this year if she is able to battle for the win. Marathon rookie Jordan Hasay has been running very well on the roads and she could be a contender as well. The withdrawal of Shalane Flanagan due to injury suggests these are the only two Americans who could challenge for the win. The favorites among the foreign entries are Edna Kiplagat, Joyce Chepkirui, Atsede Bayisa, and Rose Chelimo. The Mt. SAC Relays are in the second of a two-year trip away from the junior college’s campus in Walnut while Hilmer Lodge Stadium is undergoing a much-needed upgrade. Once completed, it will be capable of hosting the Olympic Trials and other major championships. Southern California was once the epicenter of track and field in the United States (as it was in sports and popular culture in general) but now this is the only major meet left in the area. 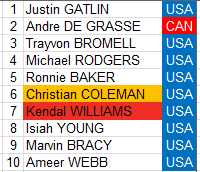 I keep a personal “power ranking” for US/Canadian/NCAA athletes in each event, and this is a very good early season race for the 100 meters. (Color coding for Coleman and Williams indicate their collegiate affiliations of Tennessee and Georgia.) Heat #1 of the men’s invitational 100 meters will include #2, #4, #5, and #10 in my power rankings. De Grasse is widely expected to be The Next Big Thing in sprinting. Despite Donavan Brazier’s 1:44.63 last week, I’d say the USA’s two best half-milers at this moment are Clayton Murphy and Erik Sowinski, and they will race head-to-head in the second heat. Also in the heat is Duane Solomon, whose last major race was his crash-and-burn at the 2015 USA Championships, and two top collegians from Middle Tennessee State, Eliud Rutto and Sampson Laari. This race is even deeper than the men’s invitational 100 meters and is somewhat of an NCAA Championships preview. 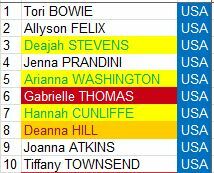 Heat #2 will include current Oregon Ducks Stevens, Washington, and Cunliffe plus Oregon alum Prandini, along with USC’s Hill. All of them are in the top ten of my US/Canada/NCAA power rankings for the 200 shown at right. Natasha Hastings, one of the USA’s best 400 runners, will also be in the race. Mt. SAC is one of the few big meets that run “open” (professional) and college relay teams together. Oregon already broke the collegiate record two weeks ago with 42.34, but the LSU Tigers have also posted one of the fastest times ever (42.66) just last week. They’ll be in lanes 7 and 4 respectively (with a very fast Oregon “B” team in lane 5), and lane 6 will be occupied by an quartet of Bobby Kersee-coached athletes, including Allyson Felix. Flotrack is breathlessly hyping this as an “NCAA Rematch” between Oregon’s umpteen-time NCAA champion Edward Cheserek and New Mexico’s Josh Kerr, the man who upset him at the NCAA indoor championships last month. The problem is that it’s entirely possible that “Ches” doesn’t show up to the starting line. He and three Oregon teammates are entered in both this race and the invitational 1500 at the Mt. SAC Relays, scheduled for about an hour earlier. They’re not running both races. It’s still going to be a good race even if the quartet of Oregon Ducks drop out. A pair of NCAA Championship favorites are entered in Kerr and Ole Miss’s Craig Engels, and they’re not even the biggest names in the race. Three top pros from the Bowerman Track Club are opening up their outdoor season: Dan Huling, Mo Ahmed, and Ryan Hill. Marathon weekend is a big deal in Boston and some shorter races are held on Saturday. The headline names in the men’s elite field for the 5k are Ben True, Dejen Gebremeskel, and Stephen Sambu. True had a rough year by his standards in 2016 but is still capable of beating nearly anyone when things are going right for him. Gebremeskel is one of the few men to beat Mo Farah on the track in the last six years, and Sambu is among the steadiest road racers around. The women’s race includes Molly Huddle, America’s steadiest all-around runner, who hasn’t lost on the roads at any distance shorter than a marathon since October 2014. Her toughest competition is likely to be Ethiopian Buze Deriba. 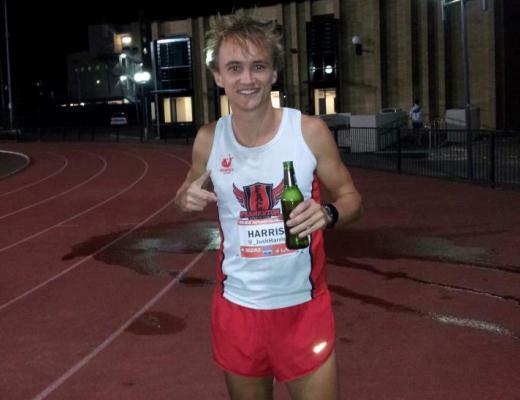 The mile races on Saturday are invitation-only rather than mass-participation. The men’s race is probably going to come down to former Montana State All-American Cristian Soratos, whose indoor season was highlighted by a 3:54.23 mile, and Canadian veteran Nate Brannen. 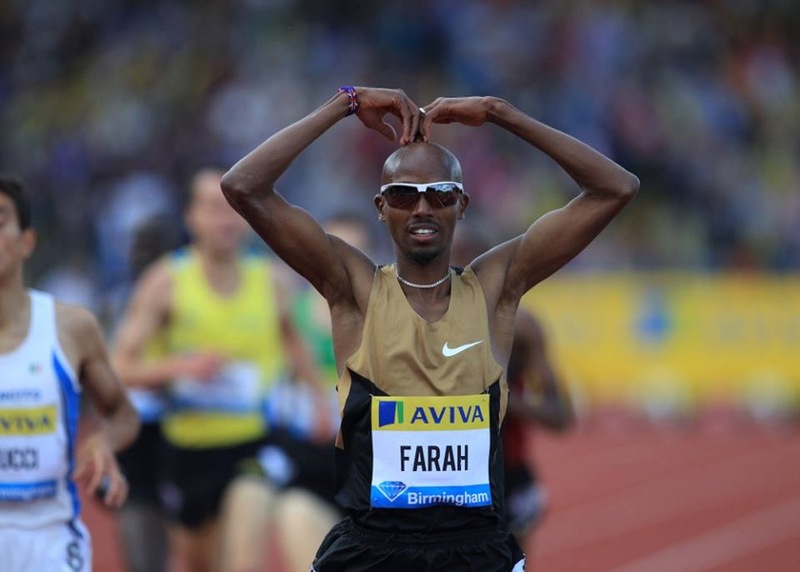 The overwhelming women’s favorite is Ethiopia’s Dawit Sayaum, who was eighth in the Olympic 1500 final last summer. Canadian Nicole Sifuentes, American Lauren Johnson, Kenyan Viola Lagat, and South African Dominique Scott-Erfurd are the best of the rest. At Philadelphia’s Franklin Field on Saturday, a combined Penn & Cornell team will take on a combined Oxford & Cambridge team in a transatlantic series that dates to 1894. Field events begin at 10:00am, running events at 11:00am. Just a few hours later, Yale comes to Harvard for a dual meet (field events at noon, running events at 1:30pm) to continue the oldest rivalry in US college track. They’ve been going at it since 1891 and the Harvard men will seek to avenge their three-point loss from last year. Yale’s women will try to break a nine-year losing streak. I find it richly ironic to put a decathlete’s name on a 1500m race.